We’ve always said here on our blog that everyone is an expert in something. And that something is what leads to the idea for an online course. But an idea doesn’t sell. That being said, there are, of course, ways to ensure the viability of a marketable product ahead of investing time and money in producing it. One of the most important ways of understanding whether or not a product (such as an online course) will generate income is actually understanding who that product will appeal to. 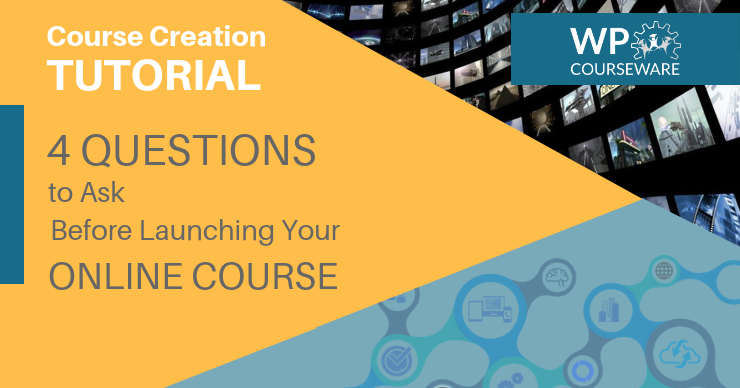 So…before launching your online course, let’s take a look at 4 key areas you should evaluate to determine the marketability of your course and eventually who to market that course to. If I can drill any one of these points home, the number one, tip-top of the list, “please don’t forget this”, would be to fully evaluate the pain point that your course solves and how many people out there in the world want an answer to that pain point? And that could take some work. You may need to visit forums, Facebook groups, or look through other social media channels. But finding out if this is a problem people are hoping to solve is the first key step to marketing a successful course. We’ve mentioned this example before, but it could even be a course on “how to make tutus”. And we’ve had a WP Courseware user who’s done very well with that very course! But, the point is that we first need to do a little work to understand how much potential there is for our solution. We need volume to be successful. Now that we’ve determined that there is going to be a demand for our course, who do we put it in front of when we market? Who is our ideal customer avatar? This is going to be very different if we’re marketing a course for retired women who want to learn to paint with water color (which is another successful user case we’ve seen) or teaching an entrepreneurial tactic (user cases of which we’ve seen many!). What would be the average age of your ideal student? What do they understand about the subject already? Is there a specific geographic region to target? Is this course targeted for recreational or professional learners? Asking these questions ahead of time will help you nail down your customer avatar and design marketing plans to determine who you will market to and where you will be able to market your course. 3. What Does it Solve? This one is another big step! Can you clearly describe how your course is going to solve the problem? In marketing terms, we call this a unique selling proposition or USP. It concisely describes the solution to your ideal customer’s problem. We need to first understand what we’re selling, who we’re selling to, and then, finally, how we’re going to actually sell it. You might call it an “elevator pitch”. The technique I’d recommend is thinking about how you’d discuss your course offering(s) with a friend. What would you tell them? And then, if possible, start telling them! I’ve shared business and online course ideas with dozens of friends, mastermind group members, and family members, and have received invaluable feedback. It’s not an easy thing to do as you’ll receive both positive and negative feedback. However, although your friends, family, or colleagues might not be your ideal target market, if you know you’ve got a shot at volume and you know your ideal customer, you’ll at least be able to round out and clean up your pitch to solve the problem that you know needs to be solved. This is likely the most difficult step of launching an online course. The most common mistake we’ve seen made in working with over 20,000 online course creators since 2012 is underestimating the value of a course. And that’s a very easy thing to do as for most of those first-time course creators, it’s also their first-time online venture…which is, well, intimidating! But…this is ultimately the point at where the value of your knowledge and your customer’s willingness to pay for that knowledge to solve our pain point will line up. Think about the value you’re bringing to your learner first. We have a WP Courseware customer who has taught people to make $40,000 per year from home. She charges over $1,000 for access to her course. After all, why shouldn’t she? There are people who have paid three times $40,000 per year to go to university to earn the same amount, when she teaches a method to earn $40,00 a year for $1,000! 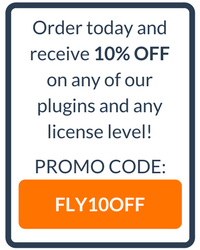 Next, although I know I mentioned that most online course creators undersell themselves, keep in mind that you can always go up in price, but it’s hard to go back down. It’s a fine line between not charging enough and charging what you’re worth, but try to get a feel for the budgets of your prospective learners through Step 2 and you'll be able to use that as a guide.